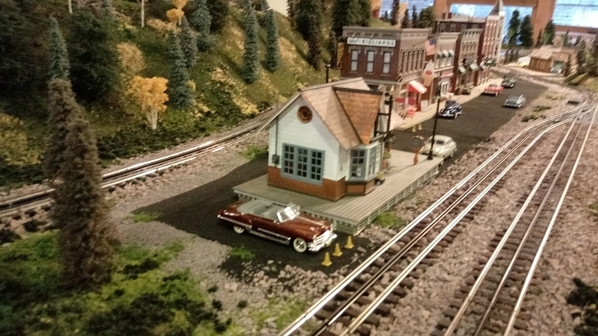 I want to thank you so much for all of the help in quickly and efficiently including me in your wonderful enterprise that does such a GREAT service to the world of model trains and in particular the O gauge community. I have been enjoying the magazine and the incredible knowledge base as a hobbyist for many years now and am excited to share my love of the hobby with the many wonderful Forum participants and viewers. Also thank you for sharing the video of your wonderful city layout. It is a world of it's own. To the many people that might view this post, I welcome you to contact me for whatever service I may be to you in helping you enjoy as I do, the joys of the hobby. Trains are especially important to me because being a home based business with my store attached to my house it allows me to spend quality time with my wife who has a long term illness and needs care throughout the day. I welcome phone calls and visits at any time between 10AM and 10PM 7 days a week. Thanks for being the first to welcome me! If you are interested I just posted a cool way to do an electrical control panel schematic. Welcome Aboard as well. You have a very fine looking store, website & layout!!! Sometime will stop by. Mike, thank you for the information. Much obliged. Hi Mike, thanks for being a sponsor, what a great looking layout, I'd love to see more of it and even better yet I'd love to be able to see it in person but alas, I live in the "Arm-pit" of Texas and it is a wee bit to far for me to go and see it. I agree with Arnold, trains and music make a wonderful combination, an old friend of mine is fiddle player and he also does classical music on the violin extremely well but to top it all off, he is a fantastic modeler and has a terrific eye for modeling. He has that special touch if you know what I mean. You seem to have the same touch and knack in your modeling too. 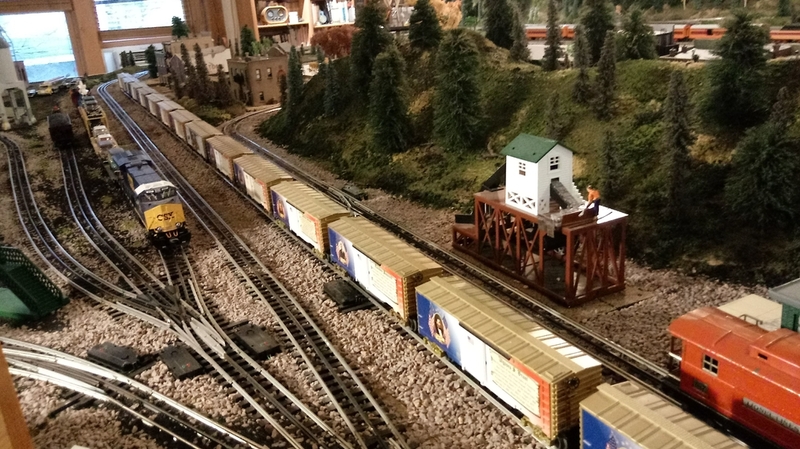 Welcome aboard and by all means, please feel free to post your pics of your layout as well as your tips and such, I for one would love to see them. Welcome to the Forum and OGR magazine, Mike! We need to get your store layout in the magazine at some point in the near future for the benefit of our print issue readers and newsstand readers (potential subscribers, in particular) who are not necessarily connected online. I will get in touch with you about that. Nice to meet another Allan. One L Alan has done a fantastic job getting me set up. Thanks for the kind words and warm welcome. I also need to write copy for the dealer listing in the back of the magazine and figure out some text for the magazine AD. I have already become more involved in the train community thanks to your great Forum and publication. I look forward to a great New Year of participation. I have recently lowered my prices across the board on my online site to make what can be an expensive hobby more affordable and I want to get that message across to the other train guys and gals that are working hard to make and improve nice layouts, and with your help perhaps I can make that happen. I love the hobby and business as it lets me simultaneously work, have fun and take care of my wife simultaneously. 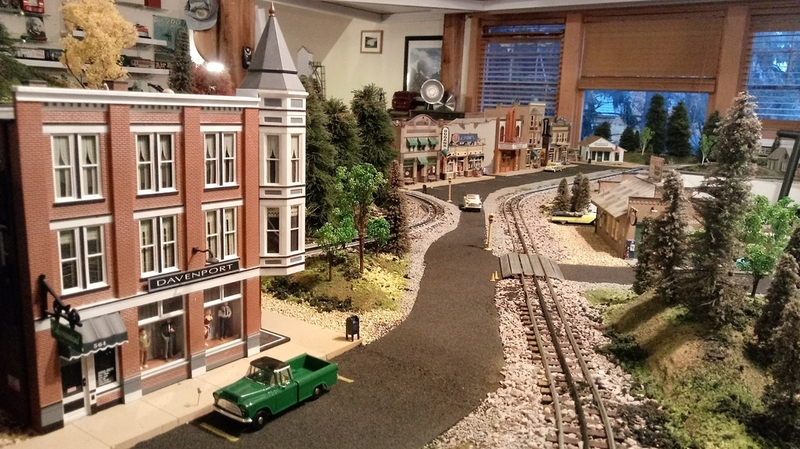 I look forward to sharing my layout in the magazine both in pictures and words. 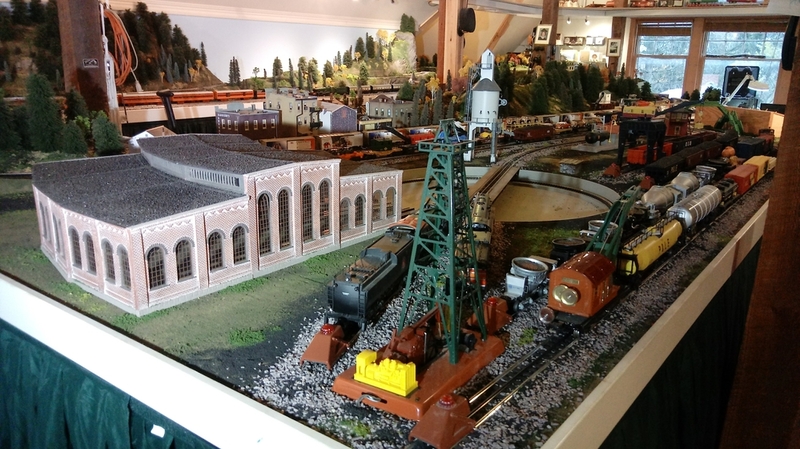 Al Judy and I documented the entire layout building process and I learned a lot in the process which I am happy to share. We wrote some article text early on in the hopes of publication since Al had done some publishing with you previously as in the case with my buddy Sam Pennise who live near me and has a great ON30 layout. Great layout. Allan is correct, it belongs in the magazine for our print readers to see and enjoy. Welcome to the OGR family, glad to have you join us. WELCOME! GREAT layout! One question: why "crocodile"? Are you from Florida or Louisiana by any chance? Isn't there a locomotive known as the Crocodile something or other? I assumed that was the reason for the name Crocodile Train Store. I made a rather large GarGraves track purchase (large to me that is) from Mike some time ago. Excellent pricing! Thank you Mike for becoming a sponsor. Once again Alan, thank you for all your hard work!!! Just got back from my weekly old time jam. I play guitar and banjo. I would love to hear and learn your song. 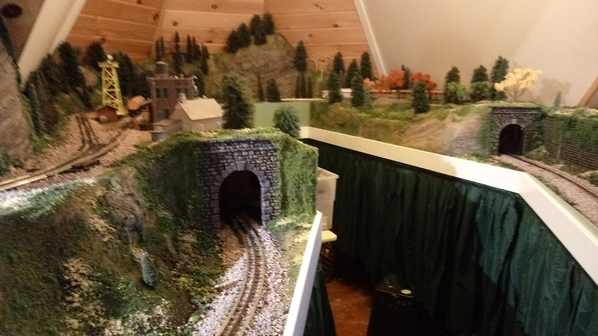 Hi Mike, I've been working on my layout this evening, trying to make a stream using acrylic paints and Mod Podge for scenic water. As you can see, I wake up early. I just emailed the song to your personal email address via Dropbox. 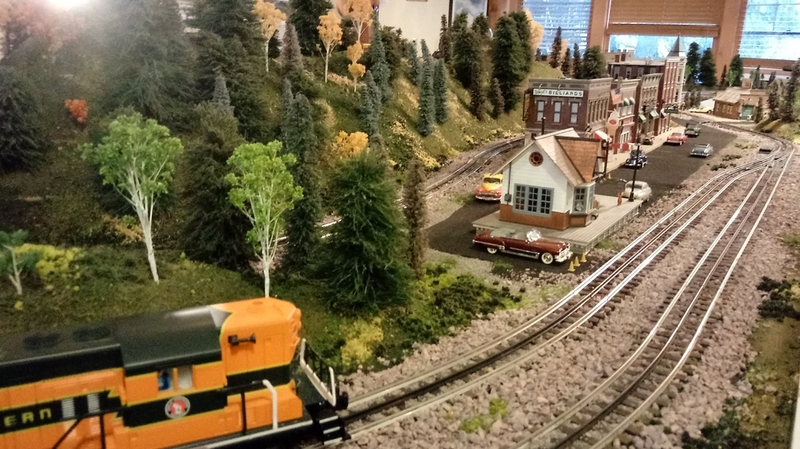 We have a lot in common having model railroading and music in our lives. Can't wait to meet you in person at your train and music store. I believe Dundee, NY is not far from Binghamton, NY. When my 32 year old daughter and 30 year old son went to college, they both went to SUNY Binghamton. Mike is a great guy, and the hobby is lucky to have him. I would highly recommend purchasing from him. If he doesn’t have it, you probably won’t be able to get it anywhere else. Great pricing and even better customer service! I always enjoy going over to see Mike’s layout, and to talk trains and life. Hi Mike, and a hearty welcome aboard! I love your layout and your store theme. You are definitely on my list of places to go see if I'm ever within a hundred miles of you (which I will surely be at one time or anther). I like your logo of the two crocks on the electric loco. I'd give some thought to reconsidering that baby. It sure makes your store name image stick out in the mind once you've seen the logo! Thank you for your sponsorship of our Forum and magazine, and we look forward to doing YOU some good as well! Reminds me of Cooperstown in the middle of nowhere . Sort of like my hometown of Dundee in the middle of nowhere and just how I like it.